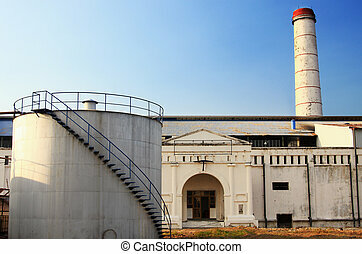 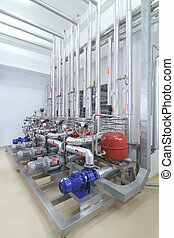 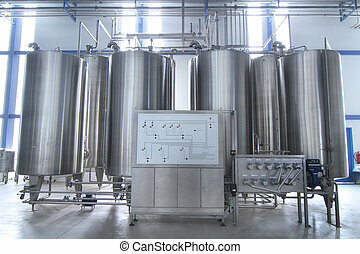 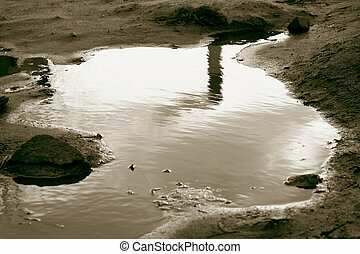 Water distiller in factory. 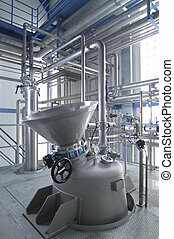 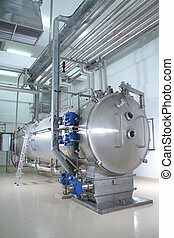 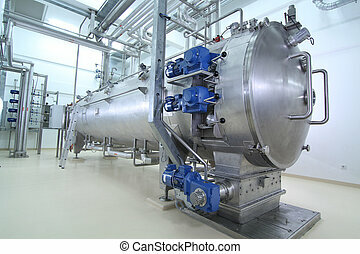 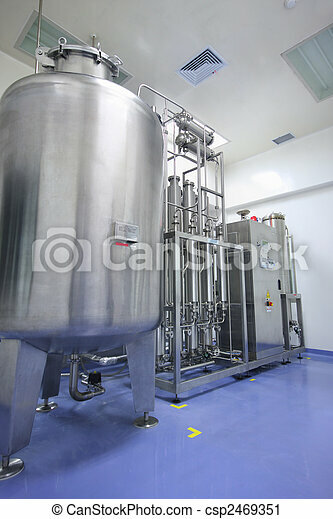 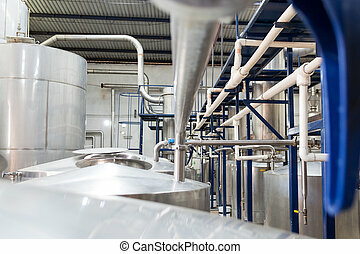 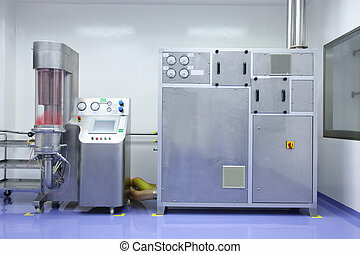 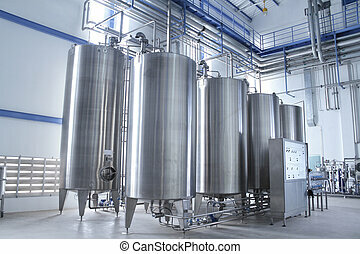 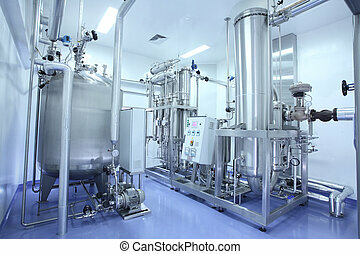 Manufacturing facility in pharmaceutical factory. 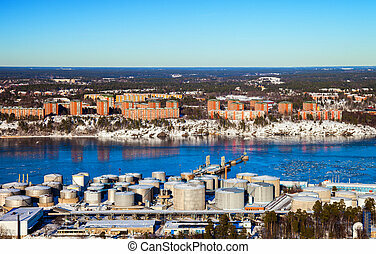 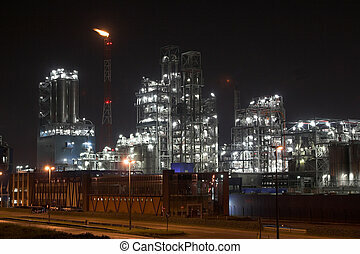 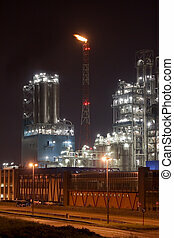 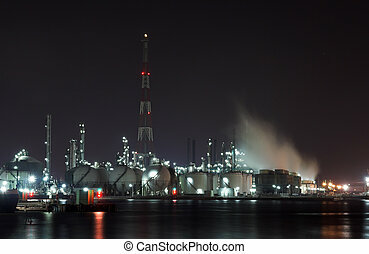 Refinery near urban settlements in Stockholm, Sweden.